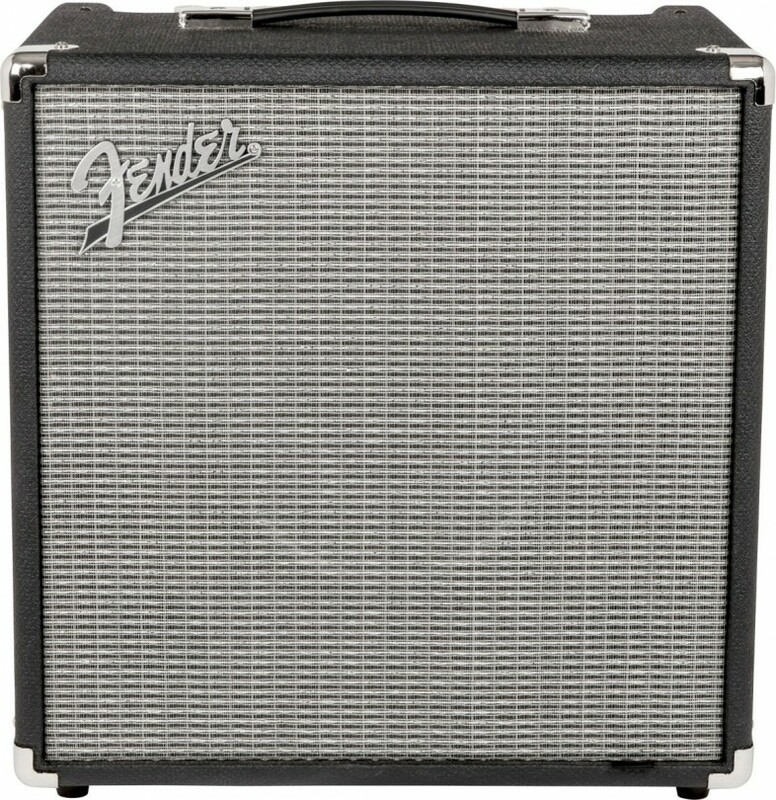 The RUMBLE 1x10" 40W bass combo is an ideal choice for practice, studio or rehearsal, with its great tone, small size and easy-to-use controls. Besides the 1x10" Fender special design speaker, its features include an aux. input, headphone output, XLR line out and three-band EQ. Re-engineered from the ground up, RUMBLE amps are lighter and louder than ever, with even more power and a classic Fender vibe. A newly developed foot-switchable overdrive circuit and versatile three-button voicing palette deliver powerful tones ideal for any gig. Additional upgrades include Eminence drivers and premium HF compression tweeters. Dimensions: 16.5" x 16.5" x 12"